Thanks to a pioneering new method, one Australian trial is looking to eliminate peanut allergies in our kids forever. 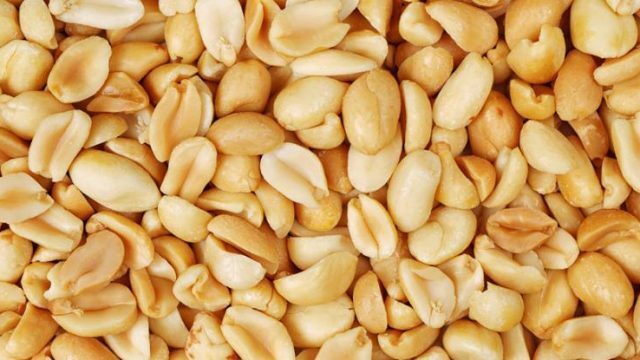 Great news may be on the horizon for the 3% to 5% of Aussie kids who currently suffer from peanut allergies, thanks to researchers at The Children’s Hospital at Westmead (NSW) who are exploring a new method to safely reduce allergic responses. As the Head of Allergy and Immunology Research Unit at The Children’s Hospital at Westmead, Professor Dianne Campbell is heading up the study, which will focus on training the body to become tolerant to peanuts by using peanut doses along with a dietary fibre supplement. The dietary fibre supplement, which has been modified by the Commonwealth Scientific and Industrial Research Organisation (CSIRO), contains short chain fatty acids (SCFA) designed for gut absorption to build immune tolerance of the child. Children aged between 10 and 16 years who have proven peanut allergies are invited to become involved in the trial, where they’ll be increasingly dosed under close monitoring, every two weeks for a period of two years. “Peanut allergies are the third-highest food allergy affecting children and the risk of accidental peanut contact for any of these children can be life threatening,” says Professor Campbell. At this point in time, there’s currently no definitive cure for this particular allergy, but two management options do exist. The first is to ensure the child strictly avoids the consumption of peanuts, which can negatively impact a child’s lifestyle; the second is via oral immunotherapy, where a child ingests a controlled amount of peanut to help desensitise the body on a daily basis. In this strategy however, if a dose is missed, the child can redevelop the allergic reaction, which can have serious consequences the next time peanuts are consumed. “While current management options can be effective, we are optimistic that our trial will introduce a safer way to manage peanut allergies in the future,” states Professor Campbell. To find more information about this OPIA (Oral Peanut Immunotherapy with a Modified Dietary Starch Adjuvant for treatment of peanut allergy) clinical trial, or to express your interest in taking part, visit The Children’s Hospital at Westmead’s website.